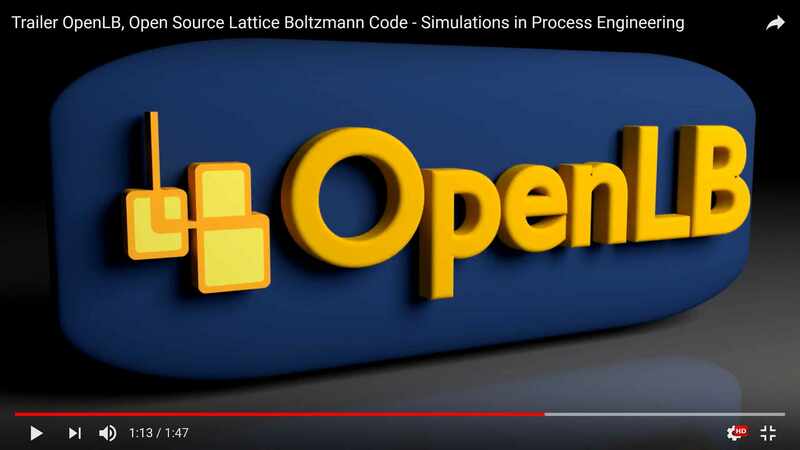 A trailer shows various simulations done with OpenLB. Contributed by Marc Haußmann and Daniel Krug. 2D flow past a cylinder. Contributed by Jonas Latt. A ball with diameter 10 cm accelerates from 0 to 180 km/h (Reynolds number 5000). At a speed of 90 km/h the fluid flow becomes turbulent. The video shows a 2D slice of the 3D simulation done with OpenLB. Contributed by Jonas Kratzke. If you want to see a video of your own application done with OpenLB here, please contact us.